There will be four (5) inserts in this Sunday’s Newspaper – two (2) Smartsource, two (2) RedPlum and one (1) General Mill Insert. There will be a lot of great coupons. You may want to consider buying extra Newspapers. 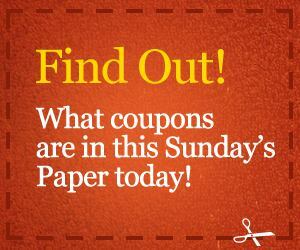 For a complete list of what coupons you can expect to see check out The Sunday Coupon Preview. Buy the newspaper with the largest circulation in order to get the best coupons. In Michigan that newspaper is the Detroit Free Press. I find that a good rule of thumb is to purchase one newspaper per family member and one extra newspaper for stockpiling. Next post: Happy New Year!